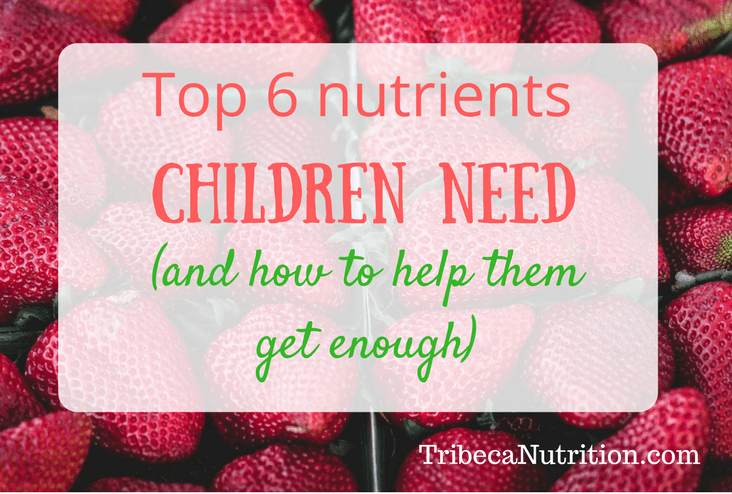 The kids’ food marketers will disagree, but snacks do not have to come from a pouch or a package. Shift your idea of a snack to a “mini-meal” instead of a sweet or salty treat in a pre-packed bag. 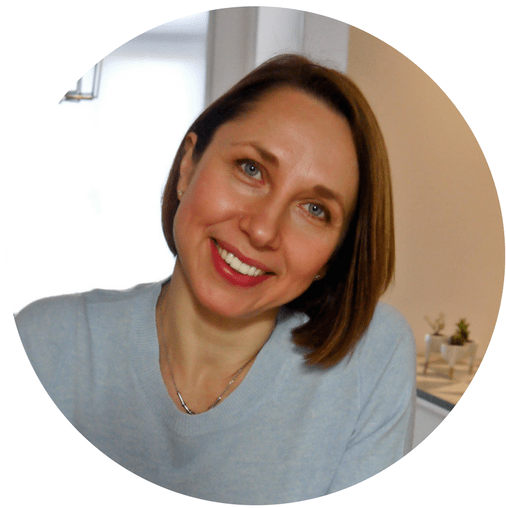 Take the opportunity to have fun with thinking up new, “outside-the-box” ideas. Here are two snacks to add to your list that highlight fresh ingredients and quick recipes that you can whip up for yourself or with your kids after school. 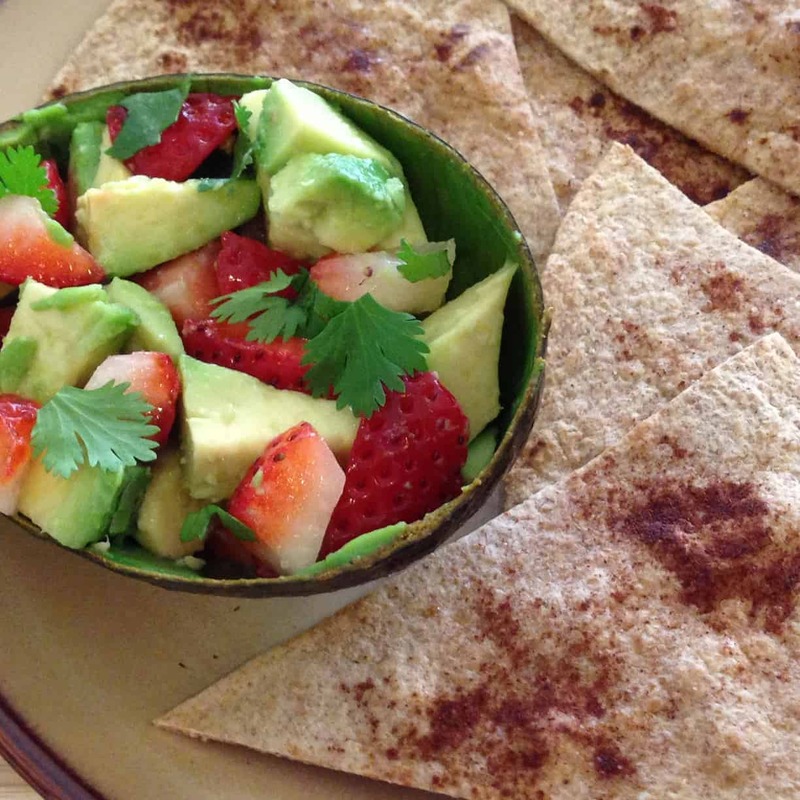 The first recipe is a Strawberry-Avocado Salsa with homemade Cinnamon Chips. 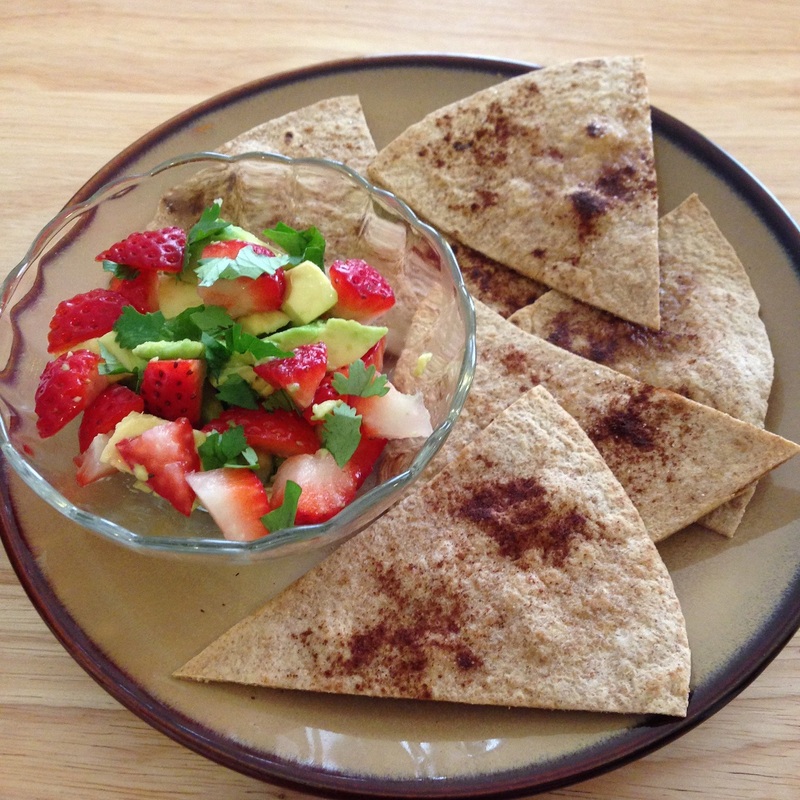 Both the berries and the whole wheat tortilla add a great source of fiber, an important nutrient for kids and adults alike. You may already know that fiber helps maintain a healthy digestive tract, but did you know that it also helps you stay full for longer? 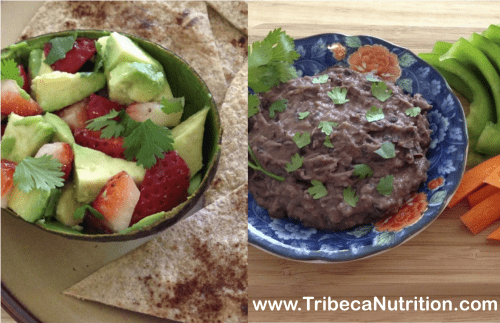 Combined with monounsaturated fat from the avocado, the salsa makes for a satisfying (and quite attractive) mini-meal. 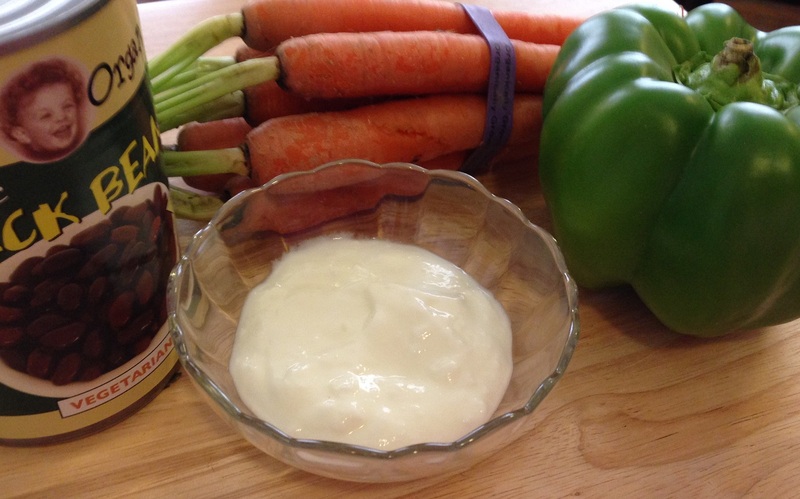 The second recipe is a Black Bean Dip, served along with your favorite veggies. Beans and yogurt give lots of filling protein, along with fiber from the beans and calcium from the yogurt. Plus, the dip can be mixed together in a few minutes with no special gadgets required. 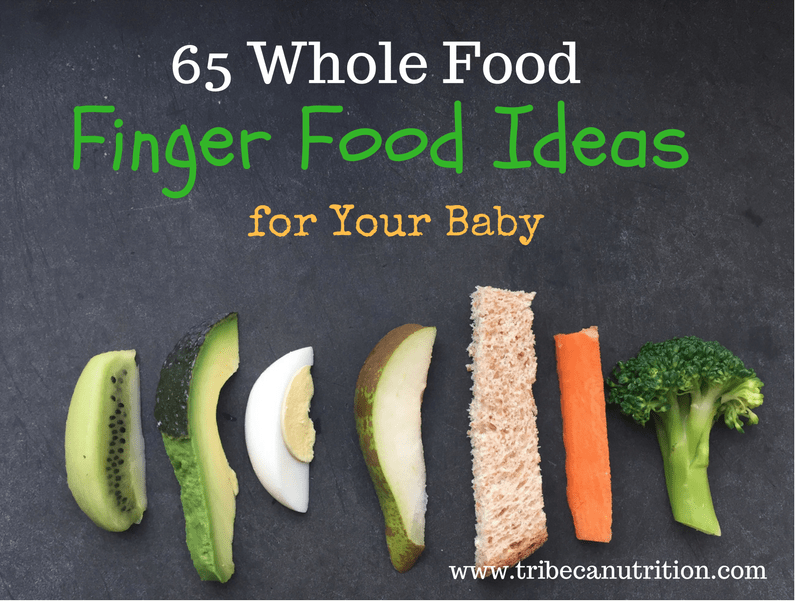 Experiment with different veggies and use this snack as a way to introduce some new veggies, too. 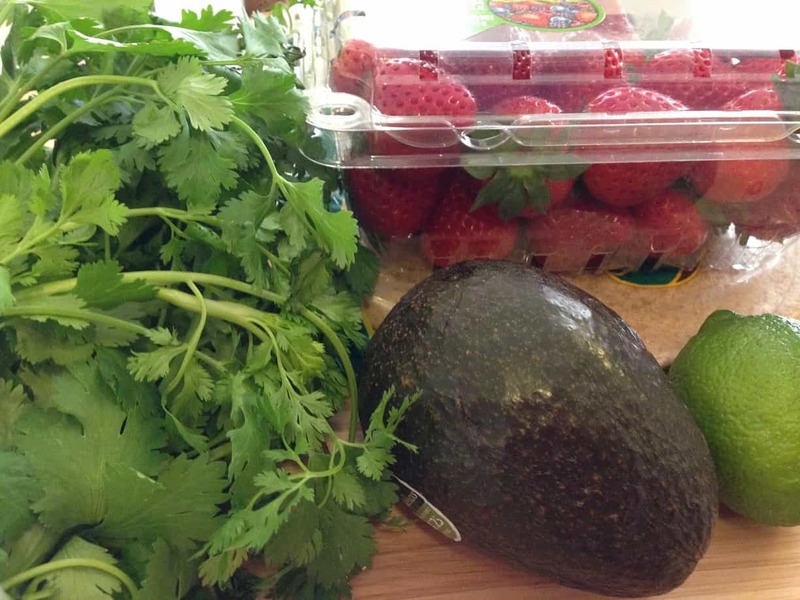 Combine the diced avocado and strawberries. Lay tortilla on a baking sheet. Spread a thin layer of oil on one side of the tortilla. Sprinkle a small amount of sugar and cinnamon evenly over the tortilla. 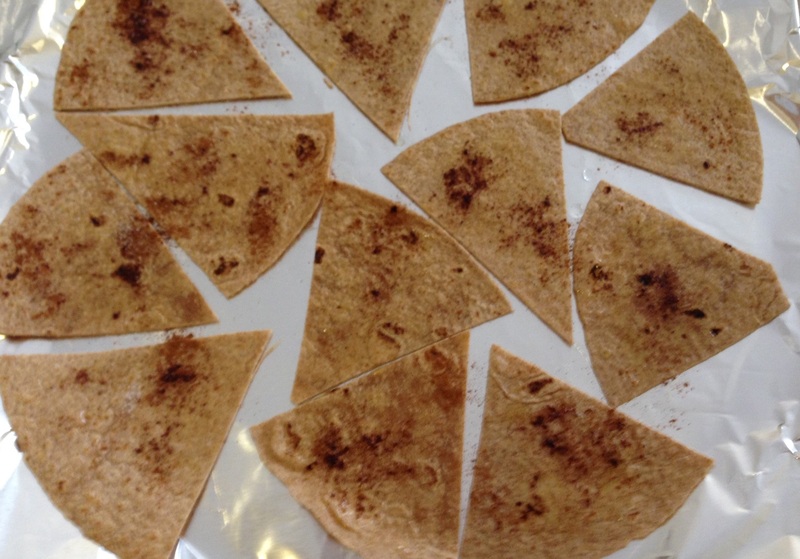 Cut the tortilla into 6-8 wedges and arrange wedges in a single layer on the baking sheet. Bake for 10 minutes at 350° or until crisp. 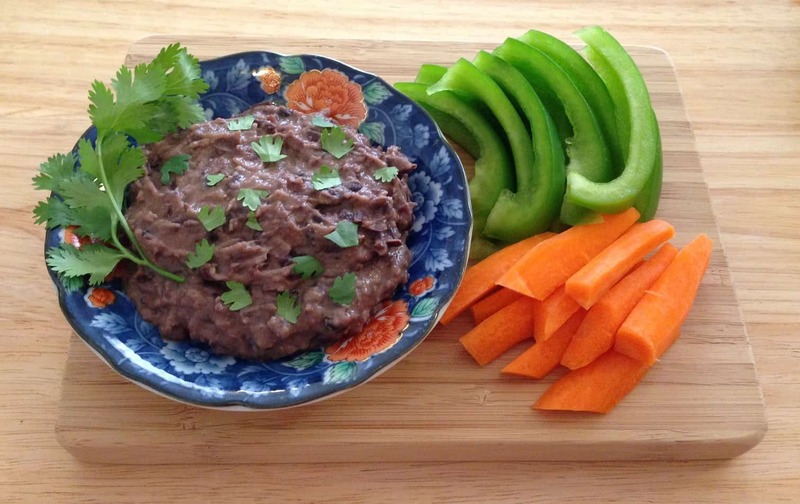 Mash the black beans in a bowl. Mix in the yogurt, cumin, and salt. Serve with your favorite cut-up veggies, such as carrots and bell peppers.